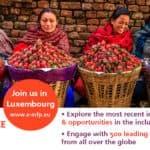 Editor’s Note: NextBillion was a media partner at this year’s European Microfinance Week in Luxembourg. We live-streamed the conference’s final panel/debate,”Digital finance: Full inclusion or empty promise?”, which featured moderator Greta Bull, CEO of CGAP, Vicki Escarra, CEO of Opportunity International, Dave van Niekerk, founder and CEO of MyBucks, and Graham Wright, Managing Director of MicroSave. You can view the video above, or on NextBillion’s YouTube channel. For background on the event, we’ve reposted the conference preview, below. You can also follow the conversation on Twitter at #EMW2016. 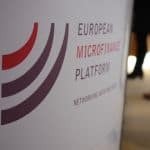 European Microfinance Week (EMW) is underway, and this year, the tenth anniversary of the European Microfinance Platform (e-MFP), it promises to be more interesting and engaging than ever. Now a major annual event of the microfinance industry, it hosts high-level discussions by all sectors of the European microfinance community working in developing countries, including consultants and support service providers, investors, multilateral and national development agencies, NGOs and researchers. This broad group of stakeholders has helped e-MFP grow into one of the industry’s premier networks for knowledge sharing. We’re proud to once again welcome over 400 top professionals from the microfinance and financial inclusion sectors, from several dozen countries, to the 2016 EMW. To see what the event is all about, you can read about the 2015 conference and watch a video overview here. 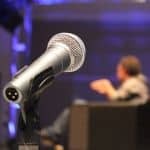 This year’s conference, held Nov. 16 – 18, takes a somewhat different approach than previous editions. Rather than a single overarching theme, the conference will provide equal focus to six main streams: green microfinance; investors, donors and funders; rural finance; social performance; digital innovations and the 2016 European Microfinance Award topic of access to education (see below). Within these six broad streams, there will be a range of stimulating plenary sessions, including Microfinance and Access to Education; Microfinance and Housing, One Brick at a Time; and Digital Finance: Full Inclusion or Empty Promise? The event will also feature over twenty workshops on Thursday and Friday, Nov. 17 and 18, complementing the work of the e-MFP Action Groups, which will meet on Wednesday to discuss the work they’d done over the previous year and their plans for 2017. Kenneth Okakwu, LAPO Microfinance Bank. You can view the conference’s full schedule here. As always, running alongside European Microfinance Week is the now-annual European Microfinance Award, jointly organised by the Luxembourg Ministry of Foreign and European Affairs – Directorate for Development Cooperation and Humanitarian Affairs, e-MFP, and the Inclusive Finance Network (InFiNe.lu) Luxembourg in cooperation with the European Investment Bank (EIB). This year’s Award – the seventh – addresses a crucial and fascinating area of innovation for MFIs: microfinance and access to education. How can financial institutions work to address the supply- and demand-side issues facing poor communities in providing quality, universal education, in partnership with schools, governments and the private sector? The winner will be announced and the Award presented on November 17 at a ceremony at the European Investment Bank headquarters. Christoph Pausch, Executive Secretary of e-MFP, says: “In ten years, the European Microfinance Platform has grown to be a really important voice for the European microfinance industry working in developing countries, and European Microfinance Week – including the Award – is more interesting and engaging than ever, and something we are very proud of. This year particularly, we look forward to welcoming people from all over the world to join e-MFP in supporting the sector and identifying and influencing the innovations yet to come”. Note: NextBillion is a media partner for the 2016 European Microfinance Week.